The foundation of City View Realty’s work ethic is to devote better service to our clients and our agents that restrictions of a franchise sometimes do not allow. 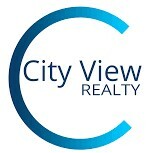 Thus City View Realty is solely owned and operated by myself which allows me to help you grow your business in the direction that is right for you and your goals. With my commitment to offer outstanding customer service and doing things by the book, as one of our agents you will receive superior training and learn accountability that will provide the skills you need to have long term success in the real estate industry no matter where your path takes you.